In the education world, it is well known that children benefit from having multiple ways of engaging with content and showing their understandings. Some may explain this simply by saying that each child has their own ‘learning style.’ In other words, some kids may be identified as wanting to move around all day, while others might prefer to sit down and read a picture book. But what is this talk about multiple intelligences in early childhood? This is a common theme you may hear of throughout your children’s education. However, Dr. Howard Gardner of Harvard University suggests that everyone actually possesses nine different forms of intelligence to varying degrees. This means that we should not label children with a particular learning style or intelligence, since they have them all! In fact, knowing about this pedagogical theory can help educators understand human learning in a whole new way. See related: Is my toddler or preschooler gifted? What are the early signs of intellectual giftedness? Even in the early years of childhood, you can begin to identify which intelligences a child may be stronger in. Below are all of Gardner’s multiple intelligences, along with a few identifying factors as examples to help you recognized them. These were mostly adapted from Very Well Mind and The Child Development Institute. Has a strong acumen for reading, writing and telling stories. Gives good explanations and can articulate well through vocabulary. Demonstrates problem-solving skills, especially in mathematics. Curious about how things work. Able to recall visual details. Skilled at visual recognition, such as by completing puzzles easily or recognizing graphical patterns. Enjoys creating and engaging with visual arts. Generally good at sports or dancing, and skills that require dexterity, or the body in some way. Enjoys creating things with their hands, and physically touching objects. Understands their ‘world’ through traits that music requires, such as rhythms, patterns, compositions, and so on. Generally good at picking up instrument skills. Easily recognizes musical patterns and tones, especially when sounds are off-key. Sensitive to sound, and responds emotionally to music. Able to empathize with others. Able to recognize the moods and inner feelings of those around them. Enjoys helping others with problem-solving, or by being a good listener and understander of what they’re experiencing. Develops healthy relationships, and enjoys people. Shows independence and individuality in their work and personal life. Can express how they are feeling, and are generally aware of what is going on inside them, emotionally and psychologically (considering that some life situations can create inner ‘confusions’ for many people). Enjoys learning about plants and animals. Enjoys playing in water or with pets and bugs, and generally enjoys all things outdoors. Passionate about nature conservation efforts. Questions subjects such as the meaning of human life and our existence. As we hinted above, your child may show signs of strength in a few of these above-mentioned intelligences. But this doesn’t mean they can’t become strong in all of them! According to Edutopia, it is important to give children “multiple ways to access content,” along with “multiple ways to demonstrate knowledge and skills.” These two practices will not only help to captivate students and increase their learning, but will help to develop interests and skills they might not have much experience with. Children can also learn to dive into subjects more deeply, giving them broader understandings that affect all the intelligences they have within them. The American Institute for Learning and Human Development also points out that you could provide eight different pathways to learning for a single topic that align with these multiple intelligences. Another idea that Early Childhood News suggests is having learning centres for young learners that focus on each of these eight intelligences. For example, you could have a cooking area, sensory learning centre, an art centre, and an instrument or sound-creation centre. The idea is that each of these centres would help strengthen a different intelligence in young learners. Scholastic also has a very detailed list of specific ideas for developing eight of the intelligences in a classroom or daycare, which you can check out here. What is experiential education in early childhood, and why is it important? 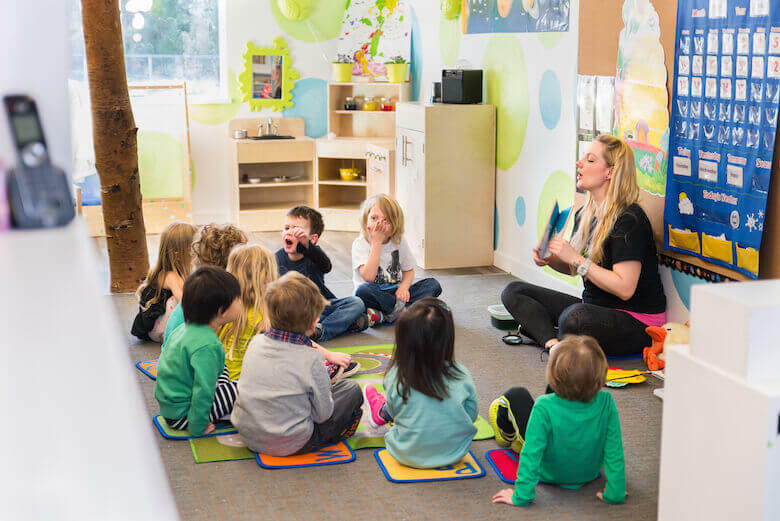 What makes a good daycare space design? As your children begin their education, it is definitely important to make observations of how they approach learning. This will help you, and early childhood educators, to determine the best learning environment, or methods for your child. Not only that, you can take a step beyond looking at your child’s ‘learning style.’ You can use these observations to identify the intelligences they lean more towards. This can give you the opportunity to help your child develop all eight – or even nine – of Gardner’s proposed intelligences. Or, it can help make children well-rounded learners early in life.